Finally got to this one. 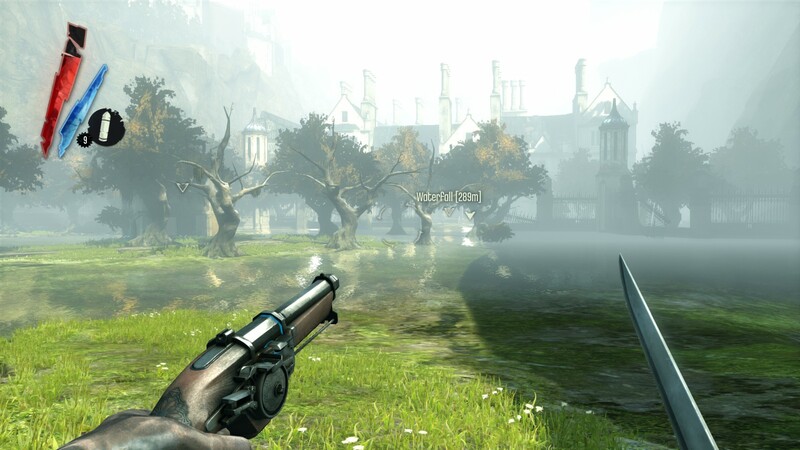 It’s the second DLC for Dishonored, finishing the story of The Knife of Dunwall. My one complaint about Knife was that it felt incomplete; well, Knife + Witches is nearly as long as the original game, and in many ways it’s far more interesting. Daud is a better and darker protagonist; the witches make for an accelerating threat (unlike the end of the main game which just offers a shitload of guards), and there’s no attempt to whitewash the corrupt, nasty place that is Dunwall. I played it all Low Chaos, a path which annoys the Outsider. This game, I finally made use of the stop time ability… it’s often the best way to deal with the witches, who are far more formidable opponents than the guards. I clumsily used every one of my sleep darts on the final mission, but hey, nobody died. The story is a little convoluted, as there are a couple missions devoted to finding a way to get to the Witches. But the missions themselves are good stealthy fun.